You don't have to be depressed to take supplements which I'd like to dub as "feel good pills." In fact, since these are made of natural ingredients, most everyone can take them to improve mood and overall health (except for underlying conditions). In a nutshell, fish oil is found to contain EPA and DHA omega-3 fatty acids which are good for the heart. To learn more on how beneficial are fish oil supplements, read my previous posts on fish oil here. Vitamin B-complex is primarily beneficial for energy production as well as carbohydrate metabolism (borrowing the description from the brand in the picture above). But it also helps replenish lost B-vitamins when we're stressed. Flaxseed on the other hand is rich in both ALA (alpha linoleic) and linoleic acids as per the label of the product image above which are both healthy fats. According to Web MD on the other hand, flaxseed's main useful components include omega-3 fatty acids (which was discussed earlier under fish oil), lignans (which contain estrogen and plant anti-oxidants), and fiber. The presence of estrogen in flaxseed makes it a regular recommended supplement for those who are looking for natural, alternative breast enhancement options. I've included this brand to this list because it can technically be considered a feel good supplement as well. 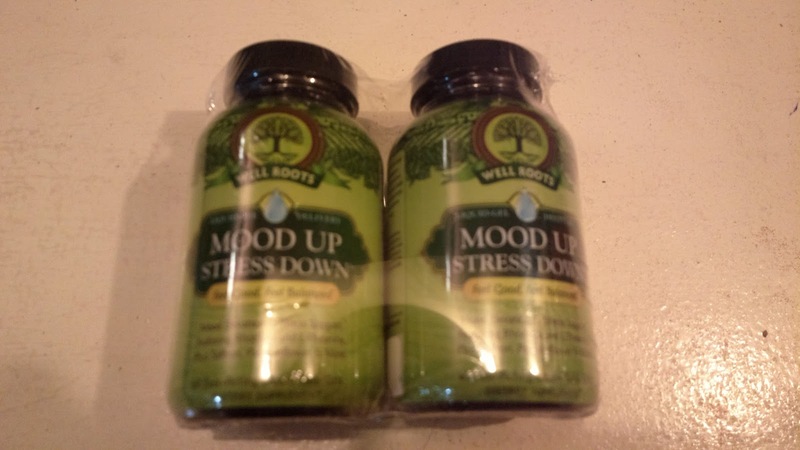 This product promises to help improve mood and lower stress levels through a combination of herbs and botanicals including saffron, lemon balm, chamomile, and Rhodolia extract. All of which are known for their mood-enhancing properties. Note that I am not promoting any product, brand, or company and these are just suggestions. Before you take any supplement, it's best to consult a doctor first or at least research.